We are one of the chief Manufacturers, Exporters and Suppliers of an unmatched quality assortment of Semi Pneumatic Form Fill Seal Machine (Model No. - MP - C â�� 12). 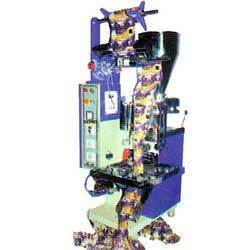 This machine is obtained from high grade raw materials. Semi Pneumatic Form Fill Seal Machine is generally used for filling and packing of various types of semi liquids such as chutneys, liquid grease, paste, cream etc.